Wireless connected solutions for temperature & humidity monitoring and beyond. While respecting the beauty of simplicity in action, Cobalt X2 featuresmany advanced functions, including very long wireless range, a color touch-screen, 4 distinct sensor channels, a broad range of all-digital wired sensors, and fully wireless sensors. 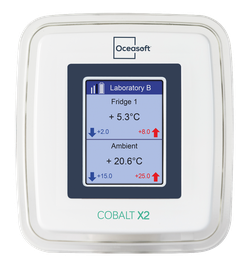 the Cobalt X2 solution and powerful OCEAView companion web application ensure smooth installation, advanced alarm management, and easy access to all your data in full compliance with applicable. The Emerald module is specifically designed for cold chain logistics, ensuring easy to manage and ompliant raceability. From storage to delivery point, it monitors the temperature of sensitive and perishable products, providing data at every stage. 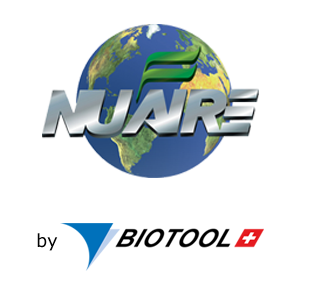 Because of its compact size, it can be placed in any type of container, packaging, or enclosure. It features wireless Bluetooth®-Smart energy efficient technology to read data through packaging. With the OCEAViewTM application, you can set mission parameters in just a few clicks and view your data and alarms from anywhere. By adding the OCEAbridgeTM solution, data collection becomes completely automatic. Temperature readings are stored in the Emerald module’s internal memory and on the cloud OCEACloudTM. You can receive alerts by email, and SMS or voice call automatically generated by OCEAlertTM, and you can acknowledge them their immediately. 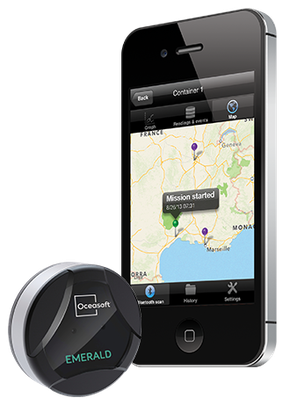 OCEASOFT Atlas™ is a Bluetooth® Smart enabled temperature datalogger designed for your short-term temperature tracking needs. 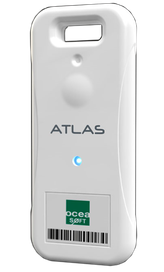 Atlas is an easy-to-use device that helps you control cold-chain perrformance, especially when shipping temperature sensitive products. Simply use your smartphone or tablet to connect and view stored temperature readings. No other equipment, USB plugs, cables, or complex installations required.